Incendia is my 3D Fractal Generator. Most of the art rendered in my galleries are made in this program. Incendia is available at Incendia.Net. 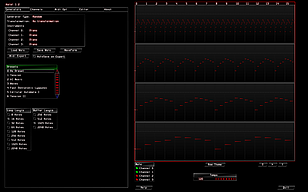 Aural is my Fractal Music Generator. 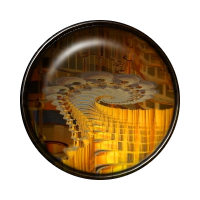 Aural is located at AuralFractals.Net. HexQuilts is a program that implements hexagonal variations of the Chaotic Quilts, that appears in the Symmetry in Chaos book. 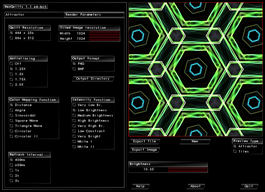 For an example of the fractals produced by HexQuilts, check the Random Background Generator page. 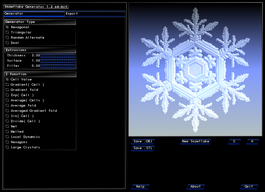 This program generates an infinite amount of 3D snowflakes. It comes with the donors version of Incendia. 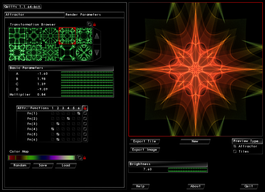 Geometrica is a mesh generator for Incendia. 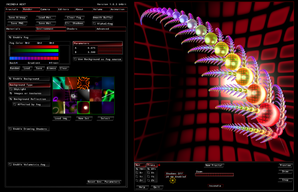 It takes the input fractals from Incendia and generates meshes for other 3D programs. It's on developing stage. Quilts is a program that implements multiple variations of the Chaotic Quilts, that appears in the Symmetry in Chaos book. 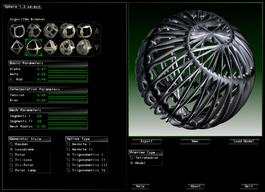 Sphere is a collection of spherical 3D mesh generators. 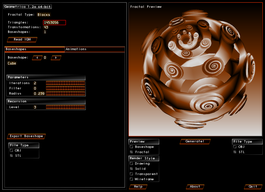 The program let you build a extremely complex spherical structures, ranging from voronoi spheres up to spherical fractals. This program is available in the donors version of Incendia Next.